The availability of water often determined where an industry (such as a mill or cannery) was located. It also determined when the industry could operate. If streams were frozen, the boilers and water turbines could not run. Canneries needed large amounts of water for the packing and cleaning processes. Mines needed water for milling operations. In an era of wood buildings and few safety regulations, water was vital for fire protection. Fortunately for these industries, Southeast Alaska has a more than adequate supply of “liquid sunshine”, and water is usually plentiful year-round (it rains more than it snows in the winter). Storage of water ensured that supplies were consistent during the few dry periods. 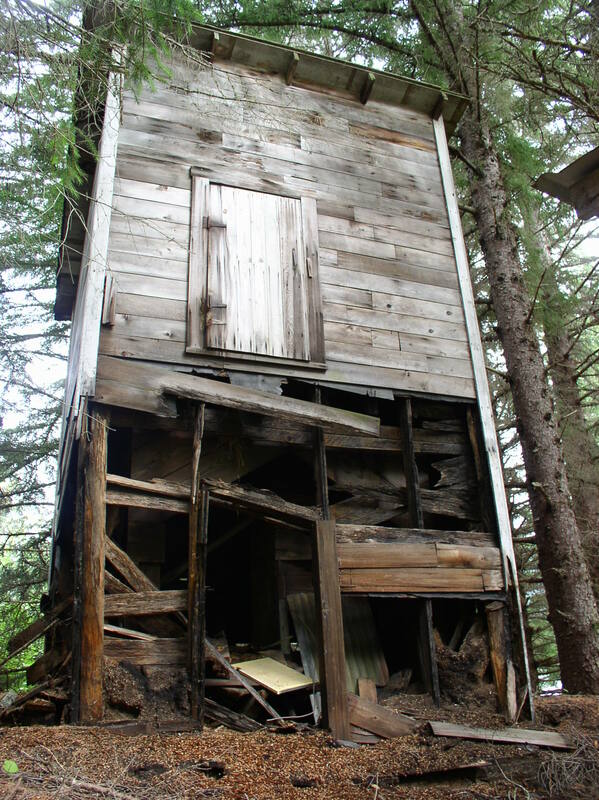 Several sources mention that the Funter Bay cannery closed around 1931 due to a lack of water. 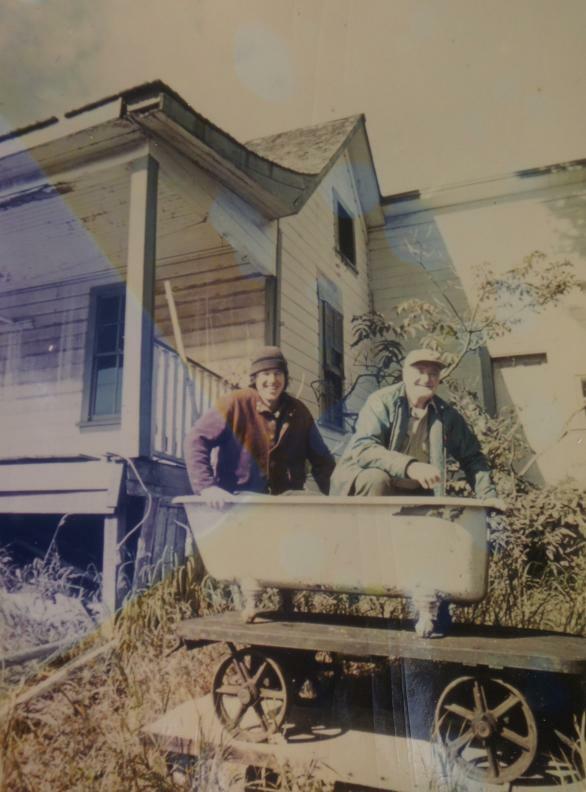 Photos and documents show operations at the cannery into the mid-1950s, but these could have been non-packing activities like trap maintenance. 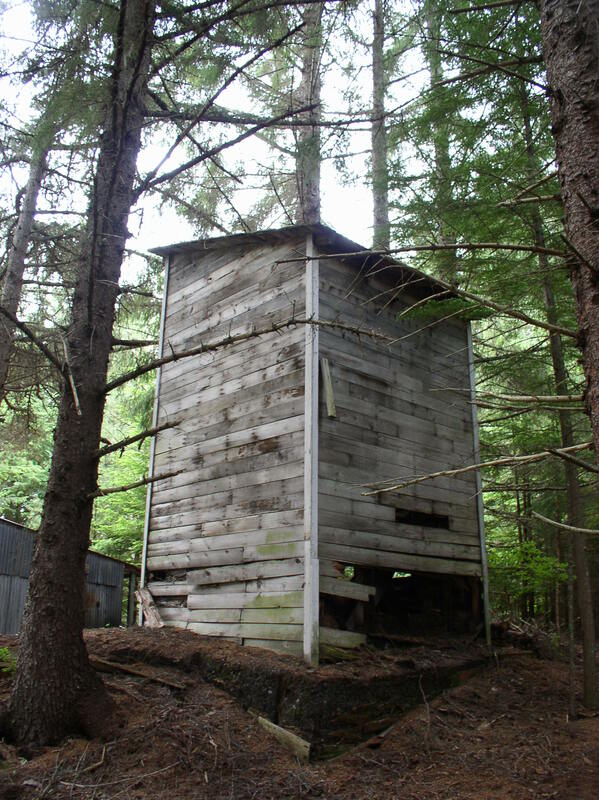 Another water tank, this one elevated in a wooden tower to provide pressure. I believe this tower was for tap water at cannery residences, it was located between the Superintendent’s house, the Watchman’s house, and the Guest house (I’ve also heard the Guest House referred to as a school). I remember when the front of the tower still had stairs on it, that you could walk up without falling through… I’m actually wondering how much is left of the tower today, it’s been a few years since these photos were taken. 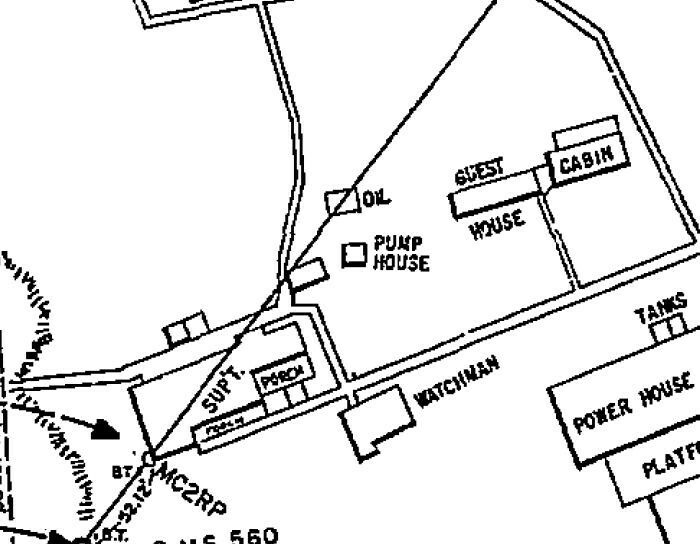 The tank is labeled as “Pump House” on the 1964 map. It probably had a pump to raise water into the tank. 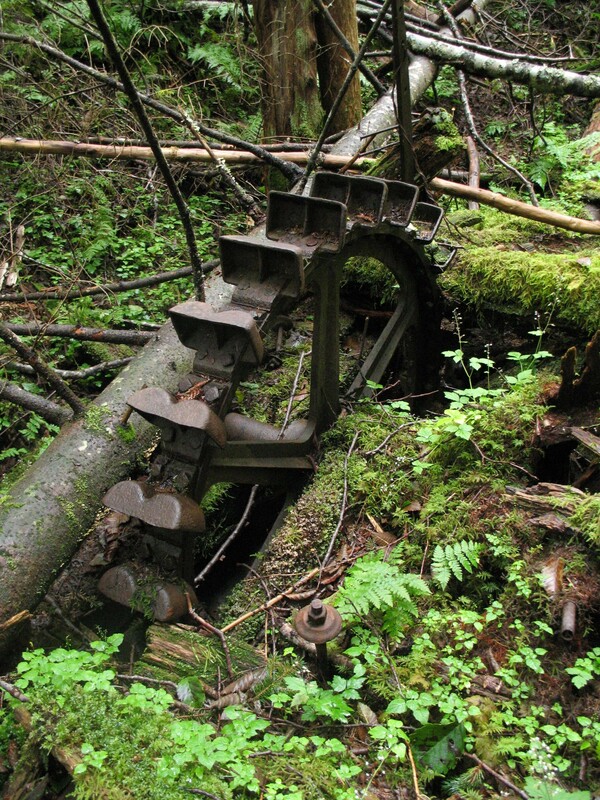 Several cannery pipelines were made from redwood staves. Redwood is a naturally rot-resistant timber that was cheaper and held up much better than steel in the rainforest (you can still find salvaged redwood pipes in use for gutters and drains around the bay!). One of these pipelines ran for over a mile, reaching Nimrod Creek near a muskeg known as Pipeline Meadow. 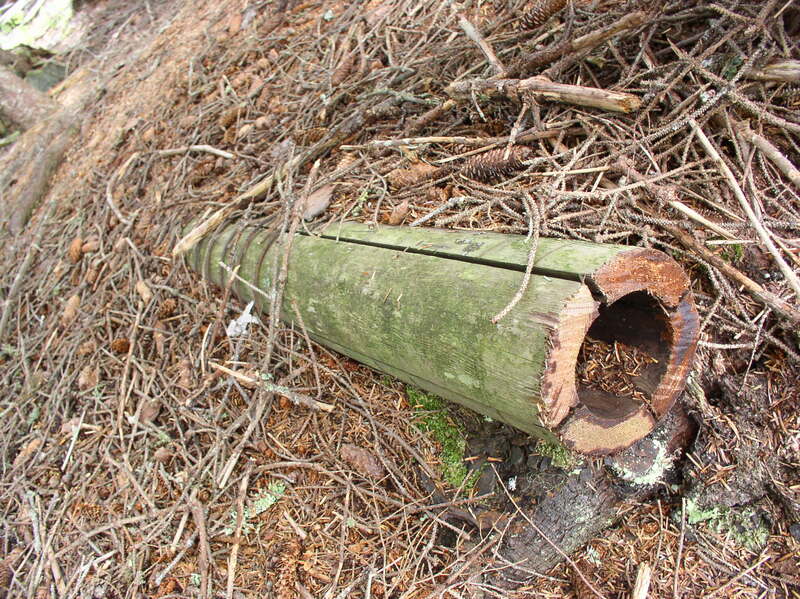 The pipes were constructed of four redwood pieces slotted together, and banded with steel wire to hold them together. 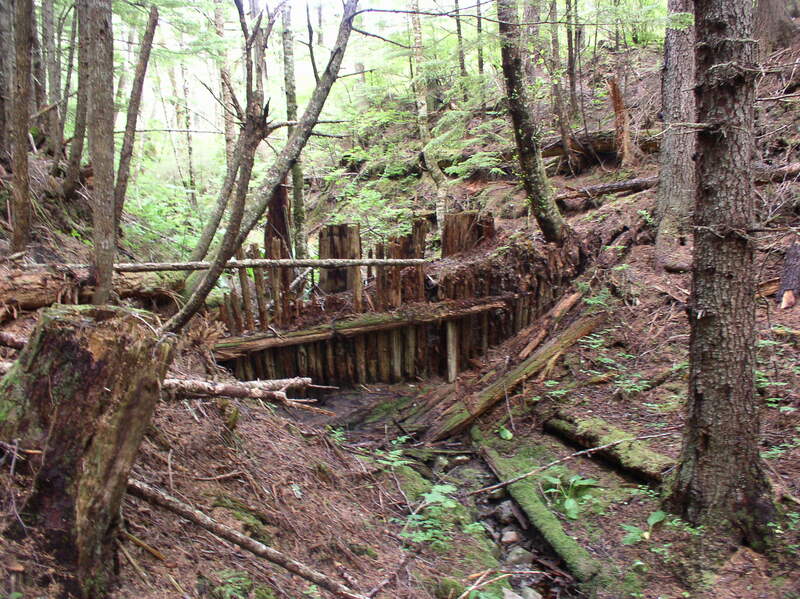 You can find these pipes all through the woods, in many cases the steel banding has rusted away, but the pipes are still watertight! Apparently this type of pipe is still made, and in all sizes. Until I started researching it, I had assumed it was a historical curiosity. In addition to supplying boilers, canning systems, kitchens, baths, etc, water was also used directly to generate power in several places. 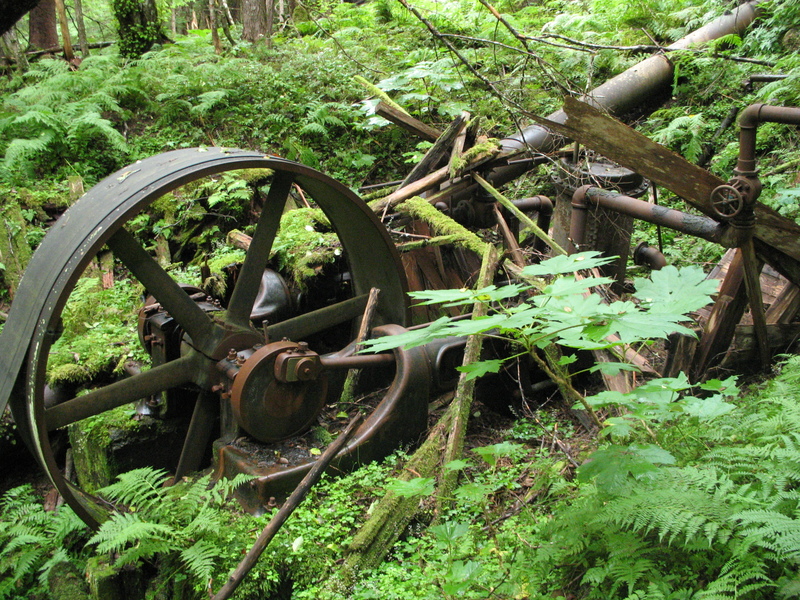 At the base of Mount Robert Barron is a large Pelton wheel, driving an air compressor and electric generator to charge battery-powered mine locomotives. 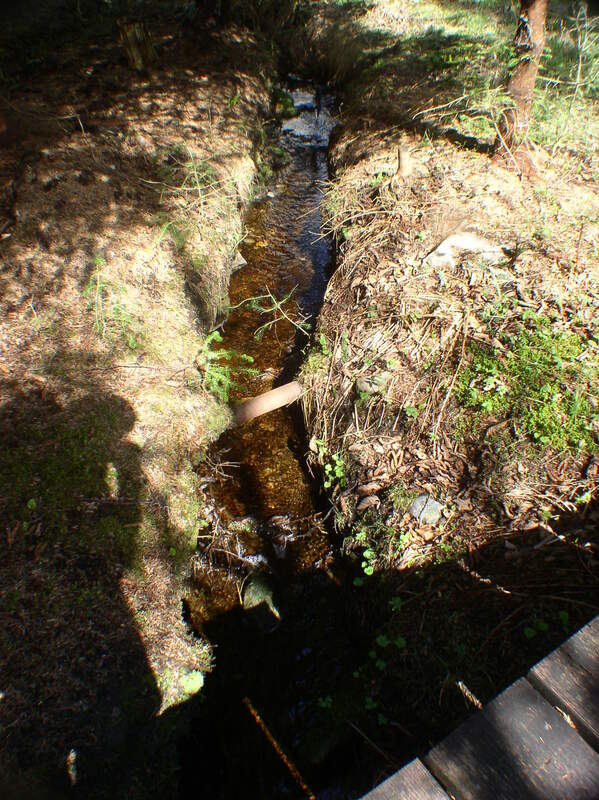 Water was collected in ditches from a bench partway up the mountain, and funneled into a pipeline dropping steeply down the side. 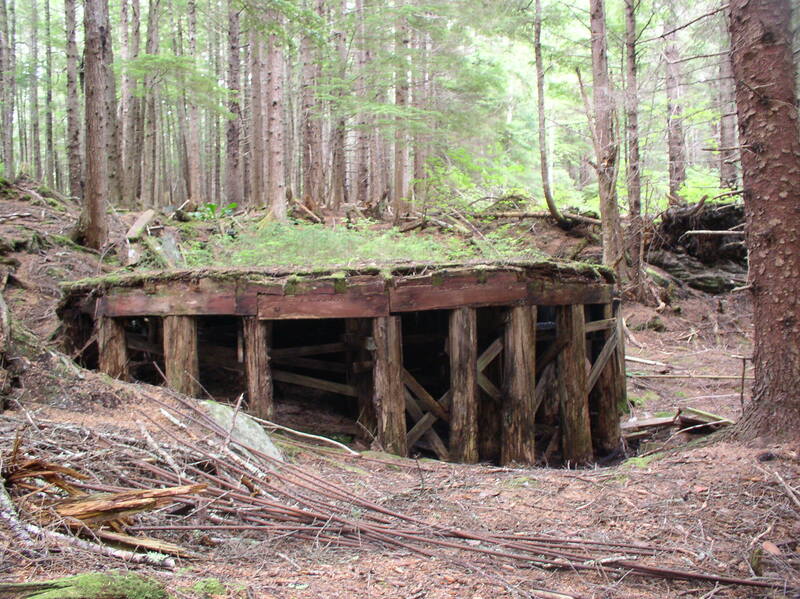 The 1917 Territorial Mine Inspector’s Report states that the compressor house was constructed between July and December of that year. 307 feet of 22-inch steel pipe, 185 feet of 10-inch, 300 feet of 8-inch, and 300 feet of 6-inch pipe were laid to furnish power to the compressor, a 24x18x14 Chicago Pneumatic unit rated at 1400 cubic feet, with a 5-inch Pelton wheel. In 1919 it was reported that the compressor was powered by a 6-inch stream of water with 500ft of head, and could run 12 pneumatic drills. 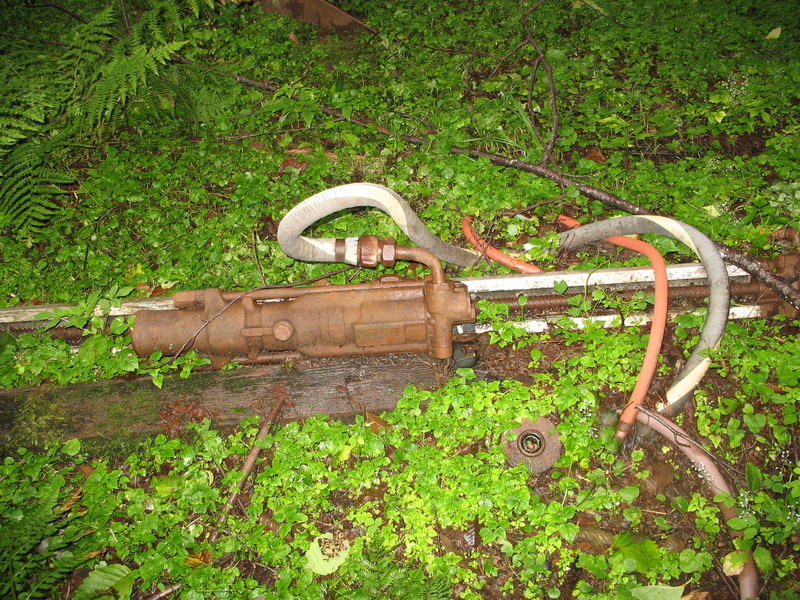 This compressor ran air tools and supplied fresh air to mine workings. Below, you can see the incoming water pipe (upper right), flywheel with belt from the Pelton wheel, compressor piston (lower center), and compressed air pipe (right side). Here’s a video of an old Pelton Wheel in action. 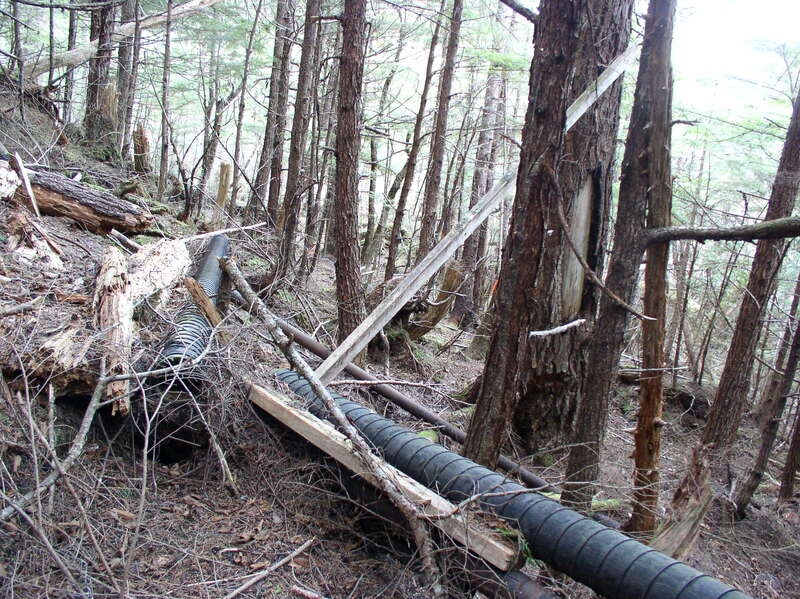 Hydropower is still a very efficient and environmentally friendly way of generating power in Southeast Alaska. Most of Juneau’s electricity comes from several hydropower plants (including a few originally built to serve mines in the area). Small hydro turbines supply power to cabins and homes in the area as well. 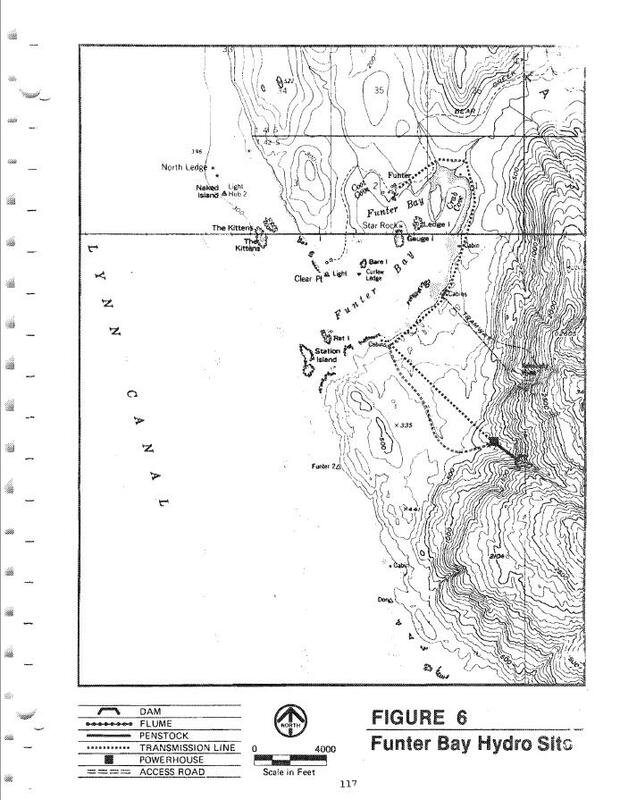 A 1979 study by the Army Corps of Engineers examined Funter Bay and several other SE communities for hydroelectric potential. 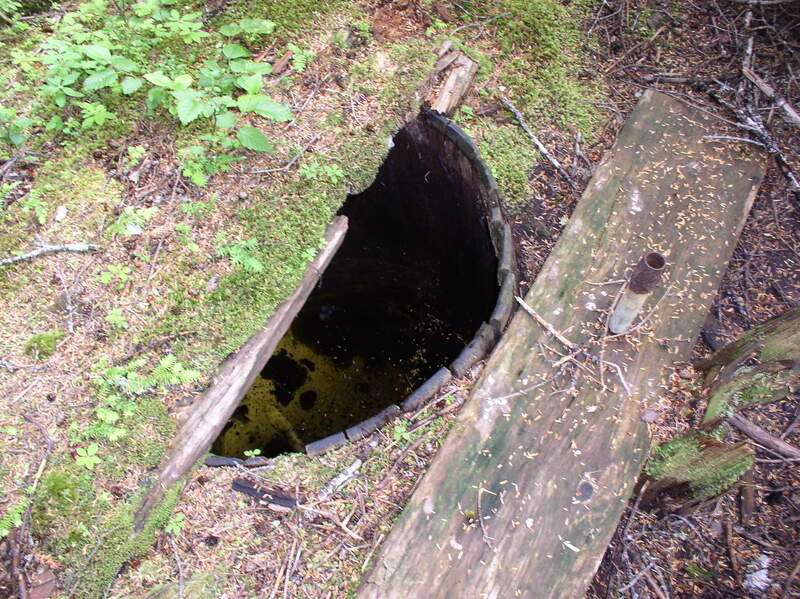 The study does not seem to have been done with much rigor or serious effort, as the authors note they merely “flew over” some of the potential sites, and then apparently drew some maps based on wishful thinking (for example, they seem to hope that the Dano Mine’s long-abandoned road could be re-used for access to a power plant). Actually, this study may have had more thought put into it than Juneau’s water supply, which operates on the technique of “plug up some mine tunnels and drink what leaks out“, and seems to still be planned and designed mainly on bar napkins. Eventually the USACE study got around to realizing that existing diesel generators were cheaper for tiny communities like Funter, compared to the cost of building and maintaining a dam, power plant, and power lines (Funter Bay is listed in the study has having a year-round population of 14, and a seasonal population of 25). 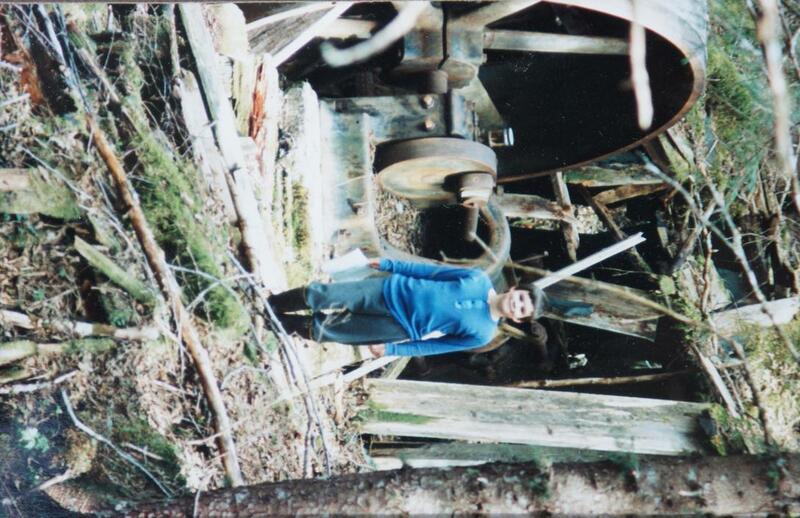 This entry was posted on Wednesday, May 22nd, 2013 at 10:58 pm and is filed under Funter Bay History. You can follow any responses to this entry through the RSS 2.0 feed. You can leave a response, or trackback from your own site.